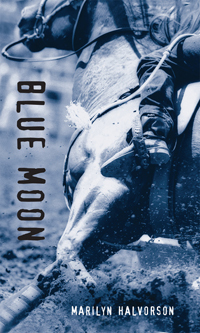 Biography: Blue Moon is Marilyn Halvorson's second book in the Orca Soundings series. Bull Rider was an ALA Quick Pick nominee. When she is not caring for cattle on her ranch, Marilyn spends her time writing. For more information, visit www.marilynhalvorson.ca.